How to get loyal readers to your blog posts? Why You’re Not Getting Loyal Readers To Your Blog Posts? I am excited to share with you this post as this is my 100th post of MMF. I had found this blog on 17th Jan 2013 with tremendous support from my mentor, favorite blogger Atish Ranjan. He still inspires me to surpass my limits and overcome my apprehensions, thus enriching by blogging. Posting 100 posts in a year and a half is not a big achievement, but being a part-time blogger, I consider this as a great motivation and thus an enormous success. I would say that the reason behind this success is my readers and their responses through comments. So in today’s post, I have decided to share my strategies on how to get loyal readers to our blogs. Recently one of the newbie bloggers asked me to provide some SEO tips, and I replied back to him with some useful tips. Not only me, but many bloggers have also been posted on the same question, and they have replied back with the tricks for SEO. A couple of days after this incident, a blogger pinged me and asked ‘”You’ve been often interviewed by newbie bloggers these days”, and I said ‘Yes’ with a smile. I agreed with this thought of him as those words were true. Why A Blog Needs Loyal Readers? If you want to be a successful blogger and earn money from your blog, getting loyal readers is more important as they are the ones who pay attention for your every blog post. They come back regularly to read, comment & share your blog posts, and they would be ready to buy your product/service. They become an integral part of your blog’s growth & success and hence it is essential to increase your reader’s loyalty. Why Are You Not Getting Dedicated Blog Readers? Some bloggers have good traffic but do not get more subscribers while some others have subscribers, but they don’t comment or share the blog posts. So it would be good to convert the casual visitors into loyal readers to make your blog posts that go viral. Why your blog posts are unable to get loyal readers? Probably the following might be the reasons for it. Do check them and correct your faults to get more traffic to your blog. Creating quality content for a blog is a common blogging advice, and it begins with finding fantastic post topics. By reading on great blogs, you’ll learn stylistic trends, storytelling ways, adding a personal touch, etc. to try out in your writing to discover your engaging voice. Understand the need for your visitors through analytics and create valuable materials for them. If you do so, then you’ll quickly establish your online reputation that would make your readers loyal to your blog. It is not appropriate that you should restrict yourself to only technical stuff when you own a tech blog. Think creatively and add some entertainment factors like online games & websites, latest tech accessories for kids, amusing gadgets and so on to mark your blog with entertaining content. Apart from creating quality content, you should understand for whom are you writing. Yes, if you don’t have a perfect idea on whom you are blogging for, then you won’t be able to get loyal readers to your blog. I hope my guest post on “How to find your target audience in blogging” would help you in this matter. Students and bloggers are my targeted audience and hence I do keyword research to contribute beneficial blog posts for them. It is essential writing in the accurate tone to address your target audience and understand their specifics like where do they live? How educated are they? What is their requirement? etc. If your readers can’t read or grasp your blog content quickly, then how is it possible to convert them into loyal readers? It is quite difficult, isn’t it? Writing content that is scannable is more important to make your blog a user-friendly one and it would be better to avoid too many advertisements/popups as it would distract your readers’ concentration. Choose font size wisely and use the good contrast between background and text. Don’t use any noisy background images and break up the long paragraphs. Adding subheadings to give your readers’ eyes a break and bolding some of your keywords would help them to get the information they’re searching for. Simply, I‘d say that if you know how to describe your field of expertise to your readers, then it is likely you will have a long-term blogger-reader relationship with them. If your blog readers are quite impatient with increasing blog loading time, they might move on to another blog instead. So you should remember that every second you shave off your blogs’ loading time would tend to boost your reader’s confidence and thus they’ll be loyal to your blog. Slow loading blog not only frustrate and deter your readers, but it would also distress the search engine to a greater extent. Hence, I use JPEG Optimizer to compress my images and avoid displaying flash on my blog. Moreover, I don’t have too many ads/badges on my blog and expending Broker link checker plugin to find & remove the broken links. Also, I use a cache plugin and clearing the clutter like spam & meaningless comments, post revisions, etc. These actions help my blog to load fast. Using high-quality images that are relevant to your blog post can provide a great deal of information to your readers, enhance their experience and finally they would turn loyal to your blog. If your readers have short attention span, then they might not read your entire blog post and will be looking only for vital data. So it would be good to break up the blog posts by including attractive pictures to make them return to your blog again & again. I take the appropriate images from Freedigitalphotos.net or Flickr.com and edit them using Pixlr to get precise match to my content. Picture placement & size that fits to your blog design are also important since content with relevant images have been found to have had higher engagement with your blog readers. To get loyal readers, you need to be a consistent blogger by updating your blog with a fresh innovative content. If you do so, you’ll become a reliable person in front of your audience and they would show keen interest to recognize your regularity. With your steadfast quality, they would easily turn as loyal blog reader to your content; otherwise they’ll get annoyed and find another blog to read. Consistency in blogging doesn’t mean that you need to blog daily, but it is of following a regular schedule of your choice. Being a part-time blogger, I am able to publish only 2 posts per week, but I’ve started to keep-up this consistency by succeeding an easy-to-follow schedule. Also, I’d apply passion and self-discipline quality to become consistent in my writing and it helps to gain credibility among the readers. Having some post ideas in draft, accepting guest post, interviewing experts, rounding up the top posts, constructive list posts are some of the upright ideas to maintain a good symmetry in blogging. You might ask me what is the relation between social promotion and loyal blog readers? To answer your question I must say ‘Yes’, both are correlated! Utilizing social media marketing to promote your blog would display your hard work among the readers and help you to gain good reputation. Ultimately, it increases the count of eyes on your blog posts, build trust and thus devoted readers would get attracted to your blog. If you get more social signals for your content, then it would fascinate your readers to get significant details from it and hence they would stay longer on your blog. Add your social profiles & striking sharing widgets to your blog and follow your commenters & subscribers on famous social networks. Thank them for providing their social cues and gather feedback to improve your blog. 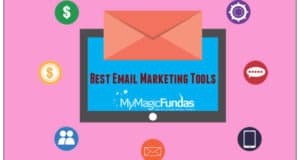 These undertakings would help you to build a good relationship with your readers and thus they never hesitate to show their loyalty to every post of yours. You should understand the difference between in-depth posts and lengthy articles. Some bloggers thought that the lengthy blog post would help them to get more readers and hence they try to cover so much of information under one blog post. As a result, the post would become very longer and seems to be pretentious which makes it difficult for the reader to read. Likewise, lengthier blog posts are easily forgotten and tougher to embrace the readers. Then, how will you get loyal readers to your blog? Definitely, it turns off readers of your blog. Habitually, I used to select a key topic to write and break the blog post with proper sub-titles, introduction and conclusion. I do write the familiar topics with essential information (approx. with 1200 words) and wouldn’t confuse my readers by comprising with many main matters. So, instead of covering multiple topics under one blog and making it long, it would be better to write comprehensive blog posts to get loyal readers. Gaining loyal audience for your blog posts will take time. But it is indispensable to follow some executable assistances like having valuable information, maintaining consistency, ensuring scanned content, targeting your audience, doing social promotion, using exceptional images and creating simple content on single topic. These are some great reasons which would provoke your readers to come back to your blog repeatedly. If you’re having trouble in growing your loyal reader base, I hope my guidance would resolve your difficulties in getting regular readers. Stay focused and just follow my above listed strategies to get loyal readers to your blog posts. What is your opinion on receiving dedicated visitors to your blog? Do you have any other tactic to acquire trustworthy readers for your content? How can you build a strong following to your blog posts? Feel free to discuss your thoughts on how to get loyal readers to our blogs. Don’t Be A Copycat Blogger! Congratulations for the 100 post milestone. Keep growing. Thanks for the very kind mention. Readers are the one because of whom a website runs and grows. Thanks for your wishes Atish, hope this might be the reason for my blog’s growth. I’d say that you’ve helped me at every stage of blogging, encouraged me a lot to do blog with passion. I’ve learned many qualities like hard work, consistency, helping attitude etc.from you which aid me to move towards success. I believe the most important factor that losses loyal reader is bad website design, Load time and irrelevant images. if our blog is not well designed say fully popup with ads distract readers to read blogpost and If the website takes too much time to loads reader don’t bother to wait for it. Btw you have mentioned all the major and minor factors.. Thanks for sharing. Welcome to my blog Kamlesh and well-said. Yeah, ads, pop-ups, loading time and unmatched images would irritate the readers and thus they wouldn’t show their loyalty to our blog. Getting loyal readers for our blog or converting causal reader to loyal reader is a difficult task but this can be achieve if the work is done smartly. All the above points, if implemented for ones blog then these are enough to catch the eye of loyal readers and get unique and returning visitors. 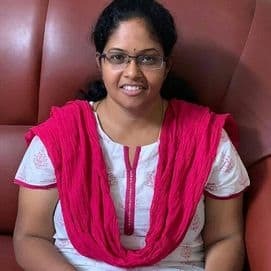 Many Many Congratulations for completing the 100th Posts Nirmala 🙂 and I wish your blog continue to rocks with such worthy posts. Loyality is must have thing if we want our blog grow and reach more audiences. After all, they are the loyal readers which converts themselves as Client on time. Thanks for your big wishes and hoping to perform well with some useful blog posts. Greetings on making an awesome century of post. Your all points in this post to get loyal readers are superb and obviously well tested by yours. Your presence in social media shows how dedicated you are in networking with other bloggers. That is why you have very cool blogging community around you as shown in social media and here both. I think getting loyal readers on your blog is a two-way process as you are successfully making it happen. If you are loyal with someone he will obviously reciprocate. Here loyalty by a blogger means providing the best value to his target audience. Then obviously readers would regularly visit your blog because they know the level of quality they will get from your each update. It takes time and a lot of work to get good number of loyal reader. I have to say that the above tips are definitely a way to go. Also, it is good to know that my blog posts are beneficial to you. Yes, readers shouldn’t be annoyed in any way to get back them constantly. You can add one more stuff.. Proper navigation.. Anyway great to see your lovely 100th post mam.. Thanks Rahul Suresh for adding some relevant data to my post. You know? Purposely, I used to leave some matters related to the blog post to discuss with my commenters and navigation is one among them. Yes, navigation should be easy to get the essential materials effortlessly. 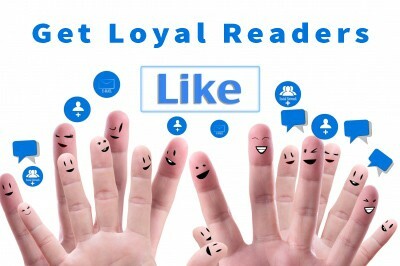 A must share post to get loyal blog readers. So long but informative content. Congrats for publishing your 100th post on MMF. I wish MMF get more success. Good luck mam and keep it up the good work. Hi Nirmala, a very vital point of discussion for bloggers as this is what you achieve if you are a problogger which takes time and efforts indeed. Thanks for reading and leaving your comment. Yeah, surely it takes time and need effort to get loyal readers for a blog. Stay tuned! Hello nirmala Mam, First of all congratulation for 100th post of MMF. I really happy to read this lengthy post. First of all, let me congratulate you for your achievement. A sweet century,indeed. Atish has indeed been a inspiration for many of the bloggers out there. I have learnt many thing about blogging, only through your blog, I hope this sensation continues. Loyal blog readers are very hard to find and this post really did helped me on how to get good at it. Many thanks for congratulating me, it motives me to perform well in the blogosphere. Very happy to know that you’ve learnt some valuable stuff through my blog and I’m sure that you’ll get some worthy information in the upcoming days too. Yeah, smart work need to be done to get dedicated readers, taking efforts for the same. 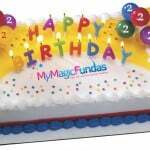 Congratulations for 100th post for MMF. Congrats for your 100th post.. nice to hear that you reach 100th post very quickly ..
You are now became a pro blogger.. and expert in article writing try to continue too..
Hey Nirmala don’t say publishing 100 posts iin 1.5 years is not a great achievement. It is indeed a great achievement. How many bloggers start a blog and continue to run it to this level? I think you have done a great job. Thanks for sharing informative articles, and this could be help me to build a loyal readers to my blog..and now i know the power of loyal readers.Thanks maam.. Thanks for your wishes and glad that you’ve understood the importance of getting loyal blog readers. Ni Nirmala, congrats for being a great blogger, n wish you a great success throughout your blogging career. I’d say that the bloggers who are not getting loyal blog readers should find out the reasons for it. If they’ve started to correct their mistakes, then it is easy to get genuine visitors effortlessly. It was great to read your post. Its so true that no one likes to loose their readers but alas cannot maintain it for longer. Unless their blogs have amazing and good quality content.. Your post has highlighted many points that everyone have to remember to maintain their loved loyal readers. Yes, it is very true that the blog should have some valuable materials for the readers to convert them into permanent visitors and to get support from them forever. I’m familiar with it and thus spending quality time to bring useful blog posts for my readers. First of all I would like to congratulate you on your achievement in your part-time career. Not all can achieve 100 posts. So, congrats to you! Back to the topic, engagement is necessary. A blog without readers is an unprofitable blog or a dead blog. That’s is why I concur with “The Key success factor to blogging depends on a fan base of loyal readers”. Identifying the hitch or what’s lacking in your blog is first, identify what’s missing and lacking. Plus, time and personal attention can spice it up since communicating on a personal level with your readers will make a big difference in your efforts to build a loyal tribe. Congrats for 100th Blog. While you mentioned about load time, it is important to keep an eye on mobile load time. I find beginners miss on this, until they realize the right tool to check for a tool that can provide inputs for correction. I use pages peed insights. I personally liked your consistency point to gain loyalty, simple to understand but little difficult to execute. Having loyal blog readers is needed for blogging success. The logic is simple, your loyal readers have high propensity to convert! For many blogs, creating and engaging loyal readers is a function of valuable content. If the quality or value a blog offers is sustained, then there is more likelihood that the readers would be loyal. So, loyal readers begin with sustenance of valuable contents. really getting loyal readers is hard task. but keeping success in mind can change the world. Yes, you are right, I agree with you. If we have some goals for success, then it is more likely to reach anything with little effort. May you have many more posts here. 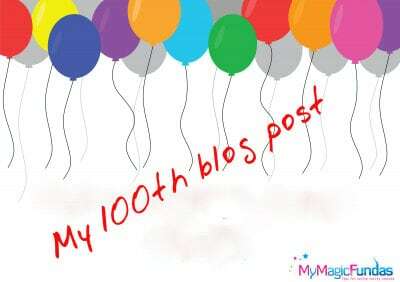 Congratulation in this milestone of 100 success post, we all know how hard & fun blogging is and the frustration article writing can also bring. YES, “The Key success factor to blogging depends on a fan base of loyal readers” To become successful in blogging or internet marketing, one needs to gather loya readers and also build list from them. When you have a loyal reader, you can sell anything to them and earn unlimited regular income from them because the TRUST is there. High quality content is one of the easiest way to grab readers attention and regular updating of a blog with great content will automatically turn a first time visitors to a loyal readers. Consistency is also key and am glad you talked about it in this article post. There is no doubt that getting loyal readers do take time, but with consistency in the value you are adding to your visitors the easier it will be to build list & make them loyal to your blog. Thanks for sharing this wonderful article post with us and am 100% sure this will go a long way in helping fellow bloggers. Congratulations for your 100th post on MMF. As a part time blogger, it is hard to achieve this milestone in almost 1 year. Great to read about that. I clicked on the post wanting to of course find out why many are not getting loyal readers and what I might being doing wrong as well as a blogger only to find to out this was your 100th post. Congratulations Madam Nirmala and it is a great feeling to see you come this far as you’ve choked a year in blogging as well. I was there when when you started. So you got inspired by a mentor, guess what you have inspired me to push myself and get somewhere near you. Your accomplishment is awesome, keep on the good work. Definitely, there goes many thing to get some loyal fan readers, and you described them all. Thanks for stating the difference between lengthy and in-depth articles, that is often confused by many. Anyway, I found this on kingged. Could you please help me to improve my google rank. First of all congratulations for the 100 post and I’m really glad that you’ve reached to a milestone. Getting loyal readers to a blog is certainly important thing which would convert conversions. And every blog must have some loyal readers to get some outcome. Yes Harish, I agree with your point. As you told, blog seems dead without visitors and there is no use to put effort on that. Firstly congratulation for your 100 post. Loyal readers to a blog is very important. I agree with your this concept. Thanks for getting time to read my post Addison, stay tuned to know more useful materials. Great job, Congratulations on your 100th post! I know that there are many more articles to come that will help and inspire your readers. You’re sure to excel more! Awesome tips you got here, Nirmala. Every blog has got to have loyal readers. For you to gain these readers, you should create articles that are worth their time and worth their support . To be straight, you need to create and give good quality feeds that people will keep on coming back for. People won’t bother liking or subscribing, but having active followers, supporters, readers what ever they are, it’s a sure win. It’s a great accomplishment and you’re positive that they love what you’re doing and they appreciate it. P.s I also found this post shared at kingged.com. You’ve left true words on getting supporting visitors for a blog and yes, we should offer quality information at every blog post. Thus the readers would never hesitate to come back to our blog regularly to do the needful. Thanks for including your comment, keep visiting to share your valuable opinions for my beloved visitors. I’m expecting for your 101th because of your 100th viral post. Yes it is somewhat difficult to get trustworthy readers for a blog. You have to work smartly to turn their attention at every blog post. Thanks for sharing your experiences Nithin Upendran, stay tuned. A blog’s success is not only through visitors, but also getting returning visitors. New blogs might be getting 1000 hits per day, but the majority part is of one-time-visitors. Very few turn up to be consistent visitors. Whereas, top blogs such as yours have managed to increase the conversion rate and average time. Blogs like Copy Blogger and Boost Blog Traffic have had get thousands of loyal readers by defending themselves from this practices, and you can see the result. 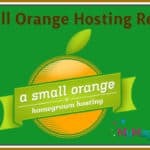 Congratulation for running this blog efficiently and thereby sharing your knowledge on blogging with us. I do agree with you. Adding multiple topic on blog will not give the desired result. I could do enhanced blogging with the great support of my visitors like you. Yes, readers might get confuse while reading so much stuffs in single blog post and skip that blog easily. Thanks for sharing this. Lovely tips and appreciate it. I think getting loyal readers is important and this can easily be done by ‘bribing’ them with things they really want. For example, writing a post ~ Don’t just share information everyone already know. Instead, share something MUCH different. This will make them come back for more. Thanks for adding value to my post by including a good example and yes, I agree with it. Writing unique information will help us to get loyal blog readers easily. Congratulations on your 100th blog post. This surely is a milestone. All the advice you have given above is spot on. Indeed we need t have loyal readers and also share on social sites. We need to keep the momentum of our blogs consistent and always provide the best content we can. Yes, consistency is the key for blogging success and am familiar with it. Hence I’m following the same even in my busy schedule to keep my dedicated readers with me. I stopped by to wish you continued success in your blogging effort. Blogging is hard work and can become all consuming. Don’t forget to take time for yourself and don’t feel guilty if you need time off to deal with life demands. Your blog is your voice on the Internet not all of who you are; please don’t let it define you ever. You are a very good writer and researcher; both are important skills in the business. Make sure you own your domain name on all the social media channels and don’t hesitate to get some help with managing the workload as you grow. Keep up the good work and all will work out well for you. You’ve listed out some numerous points which might be the reason for not getting loyal readers and I would agree with them. Its always important to be creative and honest while sharing our post with readers and they should think that the content is useful. 100!!! is never ever a small no for a span of 1.5 years. I truly needs loads of dedication to make it up. You stand as a great inspiration to all of us. Passion is what which matters .And this 100th post is too brilliant.Every tip that is being mentioned here is quite flawless. That is really good to hear, stay tuned to grab more beneficial information. Congrats!! Nirmala for your 100th post. Awesome post with lot of information. I always urge my readers and fans to go for high-quality images. Because low quality images always spoil the reading experience. You’ve written that point very well. Most of them using free images or in other words royalty free images or Google images in their blog posts. According to Google “Those images are clearly infringement of Copyrights” and this is the top reason why most of the blog posts not get indexed in Google. Better use your own images or atleast do some tricks with Photoshop that will do the word of good. Last but not least : Images play a crucial role in search engine ranking not only on Google but also all search engines. In-fact if your images get indexed then automatically your post(s) also getting indexed. It’s like entering via backdoor of Google. Frankly speaking I am receiving around minimum 500 to 600 visitors to my blog via Google images search results every day. Once again many congratulations and hearty wishes for your future success.